Ogre is a turn-based strategy game of mechanized warfare, requiring tactical decision making and strategic thinking. 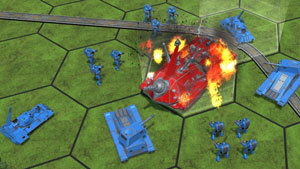 It is the official video game adaptation of the legendary tabletop wargame from Steve Jackson Games, developed by the award-winning Auroch Digital. Hovercraft, tanks, infantry, and giant cybernetic tanks called Ogres take part in a seemingly endless world war. 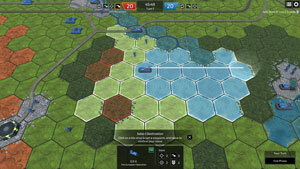 You take command and vie for supremacy on the irradiated battlefields of The Last War. 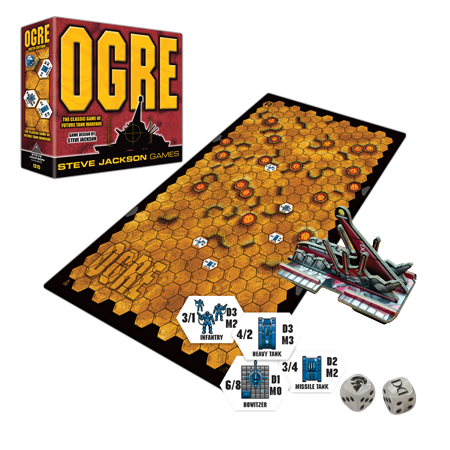 Time-Tested, Compelling Gameplay: The Ogre tabletop game has withstood the test of time, captivating gamers for over forty years. 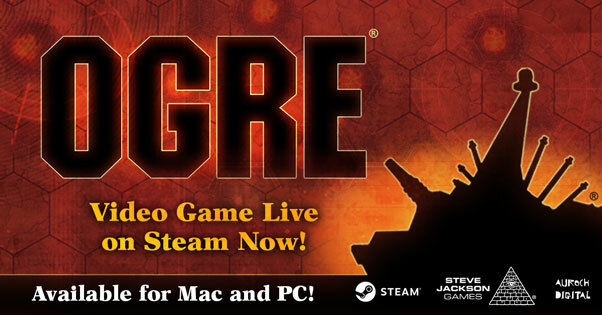 This new release is the definitive digital edition of Ogre – including expanded G.E.V. rules for even more variety – and is the first digital adaptation since 1986. 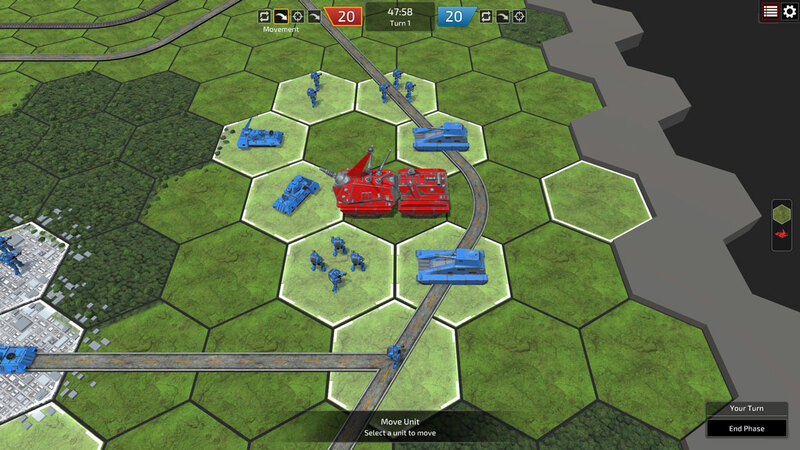 Meticulously Crafted Adaptation of the Original Game: Ogre veterans will be instantly at home with this adaptation, while new players will find a deeply rewarding, turn-based strategy game. 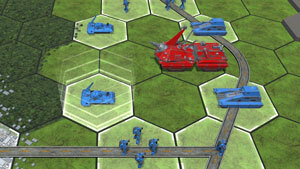 All-New Campaign: Engage in brand-new missions created in partnership with Steve Jackson Games. 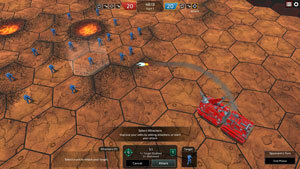 Multiplayer Capability: Test your skill against other players with online turn-based multiplayer gameplay with ranking and matchmaking, plus local "hotseat" multiplayer. 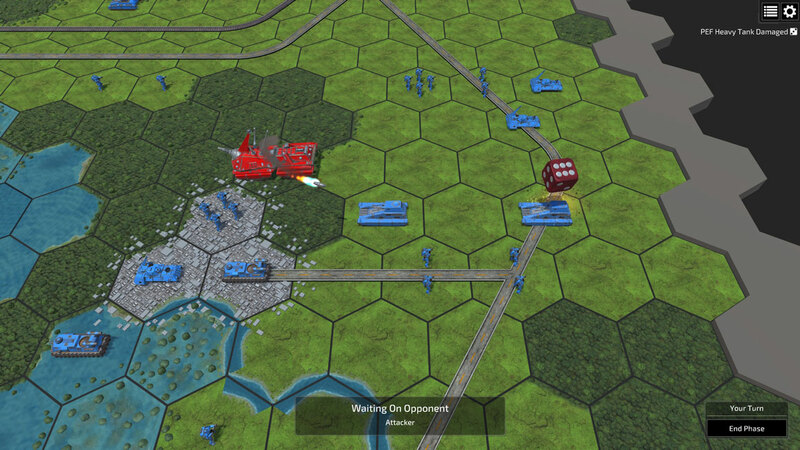 Single Player Skirmish and Tutorial Modes: Completely new to the world of Ogre? 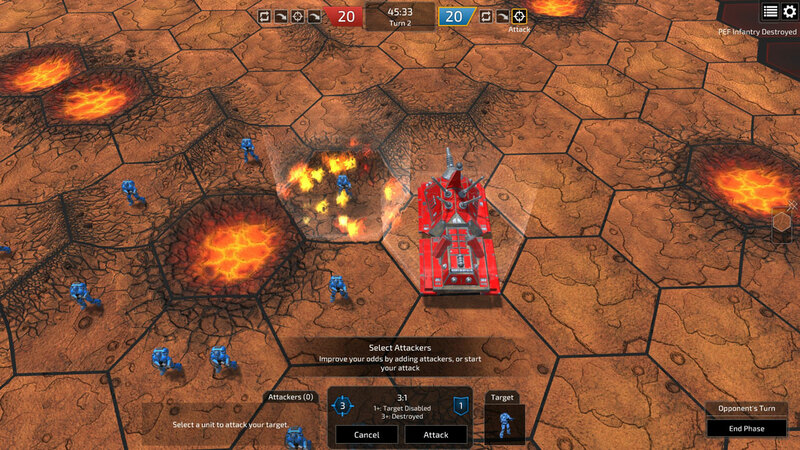 Learn to play with our in-depth tutorial, then set up a custom game of Ogre and fight against devious AI opponents. 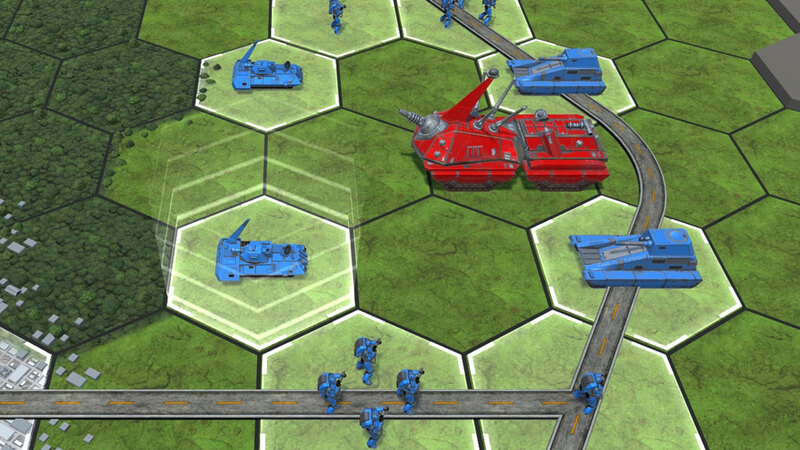 Wide Variety of Units and Factions: Build out your faction with Light, Heavy, Superheavy,and Missile Tanks, G.E.V.s, Infantry, Marines, Howitzers, and Ogres (Mark I to- Mark VI), while utilizing Trains and Command Posts as you see fit. 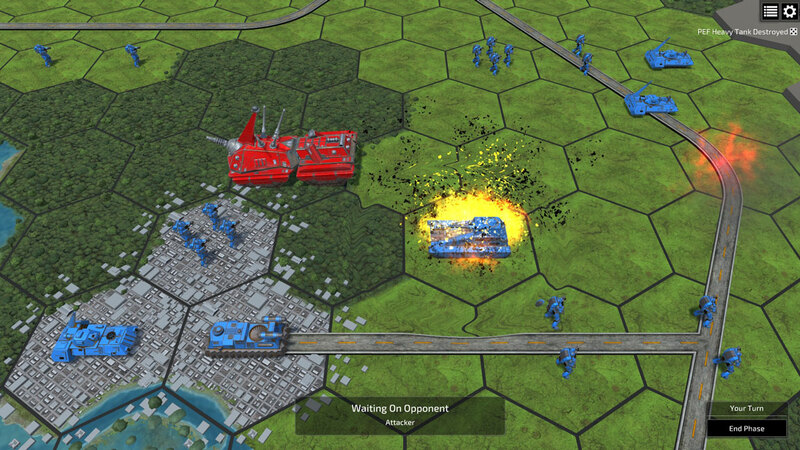 Choose to play as either the North American Combine or the Paneuropean Federation. Varied Maps Offer Strategic Decisions: Roll through many types of terrain, across bodies of water, and make use of defensive areas to sheild your units from attack. 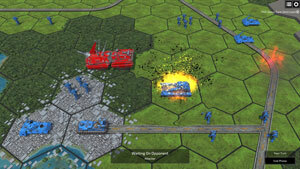 Playable Again and Again: Multiple game modes (including single player and mulitplayer) plus achievements provide hundreds of hours of entertainment. 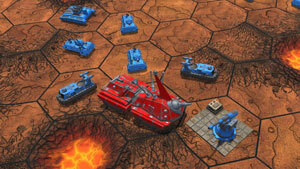 Bring 2085 A.D. warfare to your table!